Chevrolet sent a Bolt EV to check supplies at gas stations and report to residents. 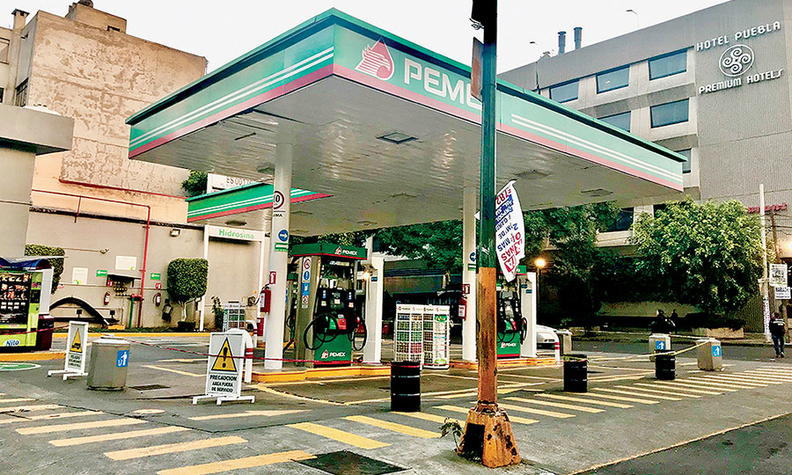 MEXICO CITY — When does a gasoline shortage, with lines around the block and closed service stations, feel like a lucky break? When you're an automaker trying to sell hybrids and electric vehicles to a curious but skeptical public. Automakers haven't had that kind of luck in the U.S. for more than a decade. But in Mexico, recent fuel shortages — combined with rising prices for imported gasoline and smog alerts that ban cars from the road unless they have green credentials — are spurring interest in their growing lineups of alternative-fuel vehicles. The latest crisis, or opportunity, was triggered when President Andrés Manuel López Obrador, who took office Dec. 1, surprised the nation at the start of the year with the closure of state-owned fuel pipelines to combat illegal gasoline and diesel taps that siphoned off billions of dollars a year in fuel. But in shifting those deliveries to tanker trucks, López Obrador created a bottleneck in the distribution of gasoline to major cities, including the capital. For at least two weeks, motorists had to queue for hours to buy fuel. The struggle at the pumps coincided with the introduction of Toyota's new-generation RAV4 hybrid, along with gasoline models, last week. Already, much of Toyota's growth in Mexico has been because of sales of its Prius, which paved the way for other hybrid models, including the Prius C and Camry. "In recent days, the number of people going to dealerships asking about hybrid models has almost doubled," said Guillermo Díaz, director of operations for Toyota Motor Sales de México. "People who might not have been thinking about buying a hybrid are at least asking about the various models," he said. Full-electric vehicles also are riding a wave of fresh interest, as automakers respond to the fuel shortages. Chevrolet this month launched a social media campaign featuring a Bolt EV electric hatchback visiting gas stations around Mexico City to check on supplies and report to residents. "We had a Bolt EV available, with a charged battery and we decided to go out into the streets last weekend," Adrián Enciso, director of advertising at GM de México, said in an interview last week. Lack of fuel during the crisis forced a gas station in Mexico City to close. 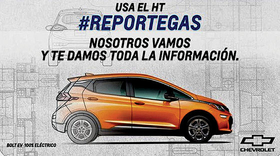 Hundreds of residents used the hashtags #ReporteGas ("gas report") and #DondeHayGas ("Where there's gas") on Twitter and Instagram to request status reports, according to GM's local marketing team, generating thousands of interactions. "People started asking us about the Bolt EV, its range, price, maintenance and battery life," Enciso said. The Bolt is the third electrified model launched by Chevrolet in Mexico, after the Spark EV and the Volt plug-in hybrid. This isn't the first time Mexico has had such a spike. In 2016, hybrids gained popularity after Mexico City's government restricted use of combustion vehicles to reduce pollution. Hybrid and EV sales nearly quadrupled from the previous year. The trend strengthened with the rise in gasoline prices, which last year topped the psychological threshold of 20 pesos, or about $1, per liter (equivalent to about $3.80 a gallon at current exchange rates). Sales of hybrids, plug-in hybrids and EVs rose 68 percent in the first 10 months of 2018, to nearly 14,000 vehicles, according to the latest figures from the Mexican Automotive Industry Association. Manufacturers foresee the current crisis triggering another boost. "People who use these technologies are now seeing the advantages," Guillermo Rosales, associate director of the Mexican Association of Automobile Distributors, told Automotive News Mexico. Availability of hybrids and EVs, which was stuck at eight models for almost a decade, has more than tripled in three years. Today there are 27 models, including hybrids, plug-in hybrids and full electrics, and at least four manufacturers have confirmed more models for this year. Jaguar Land Rover has introduced its Jaguar I-Pace crossover to Mexico, and Mercedes-Benz has confirmed the arrival of an electric model in the country. In the medium term, Mercedes has said, it will reintroduce the Smart brand with an electric focus. Other pioneering brands, such as Nissan, which brought the Leaf to Mexico in 2014, are introducing new generations of their models. Mitsubishi, which has separated its commercial operations from Fiat Chrysler in Mexico, is starting EV sales. Chinese automaker BAIC has confirmed the arrival of electric models for this year. Mexico is also starting to manufacture EVs. Local startup Zacua set up a plant in Puebla state with capacity to assemble a city car of Mexican design with a range of about 100 miles on a charge. Ford is moving forward with the retooling of its Cuautitlán plant near Mexico City, where it plans to assemble an EV crossover with styling elements from the Mustang. But there are challenges for green cars, which still made up barely 1 percent of Mexico's new-vehicle sales last year. Fuel efficiency "has been gaining relevance," Rosales said, "but the main factor is still the price." That explains the strong growth for brands that have focused on value. Toyota, for example, has hybrid models priced as low as about $17,000, and expects these models to generate 15 percent of its sales in Mexico this year. "Our goal is to have a hybrid alternative in each segment where the brand competes," said Toyota's Díaz. "We know that it is a great challenge, but we continue working to achieve it. The launch of the hybrid RAV4 is proof."